Rev. Richard Allen (February 14, 1760 – March 26, 1831) was born into slavery in Philadelphia in 1760. He died in 1831, not only free, but influential. Richard Allen was a minister, educator, and writer. In 1794, he founded the African Methodist Episcopal Church (AME), the first independent Black denomination in the United States and was its first Bishop. The anvil adorns a cross in the emblem used by the African Methodist Episcopal Church (AME). The Anvil has a symbolic and a historical meaning which must be noted by all who call themselves African Methodist. Our beginnings emerged from the depths of racism and bigotry and when our founding fathers chose to stay with Methodism they purchased a blacksmith's shop and converted it into their house of worship; they called it Bethel, meaning "House of God." In the blacksmith's shop was an anvil used to pound and shape metal ores into a usable and functioning object. And, as any blacksmith will tell you, hammers may wear down, and many a man may loose his life to the exhaustion from the hard work of being a blacksmith, but the Anvil never fails. A man only need to purchase one in his or her entire lifetime, and it continues to last through many lifetimes. So it is with God; He cannot be beaten down and He is Eternal. The Anvil represents our beginning and the lasting Strength of our Lord and Savior that never ceases. The new emblem displays characteristics which can be equated to a significant aspect of the African Methodist Episcopal doctrine and belief. The shape of the emblem is in the form of a three-pointed shield; the three points being symbolic of the official motto of the A.M.E. Church. "God our Father, Christ our Redeemer, Man our Brother." The African Methodist Episcopal Church, usually called the A.M.E. Church, is a predominantly African American Methodist denomination based in the United States. It was founded by the Rev. 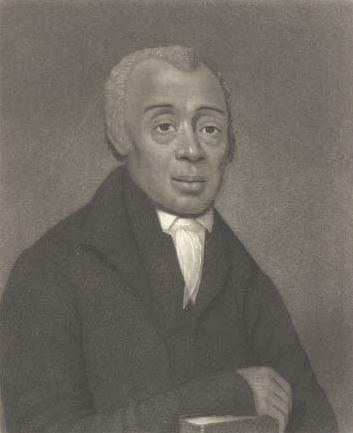 Richard Allen in Philadelphia, Pennsylvania, in 1816 from several black Methodist congregations in the mid-Atlantic area that wanted independence from white Methodists. Allen was consecrated its first bishop in 1816. African: The AME Church was organized by people of African descent. The church was not founded in Africa, nor is it only for persons of African descent. The church is open to people of all races. Methodist: The church's roots are in the Methodist church. Members of St. George's Methodist Church left the congregation when faced with racial discrimination, but continued with the Methodist doctrine and the order of worship. Episcopal: The AME Church operates under an episcopal form of church government. The denomination leaders are bishops of the church. The AME Church grew out of the Free African Society (FAS), which Richard Allen, Absalom Jones, and other free blacks established in Philadelphia in 1787. They left St. George's Methodist Episcopal Church because of discrimination. Although Allen and Jones were both accepted as preachers, they were limited to Black congregations. In addition, the Blacks were made to sit in a separate gallery built in the church when their portion of the congregation increased. These former members of St. George’s made plans to transform their mutual aid society into an African congregation. Although the group was originally non-denominational, eventually members wanted to affiliate with existing denominations. Allen led a small group who resolved to remain Methodist. They formed the Bethel African Methodist Episcopal Church in 1793. In general, they adopted the doctrines and form of government of the Methodist Episcopal Church. In 1794 Bethel AME was dedicated with Allen as pastor. To establish Bethel’s independence, Allen successfully sued in the Pennsylvania courts in 1807 and 1815 for the right of his congregation to exist as an institution independent of white Methodist congregations. Because Black Methodists in other middle Atlantic communities also encountered racism and desired religious autonomy, Allen called them to meet in Philadelphia in 1816 to form a new Wesleyan denomination, the "African Methodist Episcopal Church" (AME Church). The African Methodist Episcopal Church has a unique history as it is the first major religious denomination in the western world that developed because of sociological rather than theological differences. It was the first African American denomination organized and incorporated in the United States. The church was born in protest against racial discrimination and slavery. This was in keeping with the Methodist Church's philosophy, whose founder John Wesley had once called the slave-trade "that execrable sum of all villainies." In the 19th century, the AME Church of Ohio collaborated with the Methodist Episcopal Church, a predominantly white denomination, in sponsoring the second independent historically Black college (HBCU), Wilberforce University in Ohio. Among Wilberforce University's early founders was Salmon P. Chase, then-governor of Ohio and the future Secretary of Treasury under President Abraham Lincoln. Other members of the FAS wanted to affiliate with the Protestant Episcopal Church and followed Absalom Jones in doing that. In 1792, they founded the African Episcopal Church of St. Thomas, the first Episcopal church in the United States with a founding Black congregation. In 1804, Jones was ordained as the first Black priest in the Episcopal Church. While the AME is doctrinally Methodist, clergy, scholars, and lay persons have written works that demonstrate the distinctive racial theology and praxis that have come to define this Wesleyan body. In an address to the 1893 World’s Parliament of Religions, Bishop Benjamin W. Arnett reminded the audience of blacks' influence in the formation of Christianity. The AME motto, "God Our Father, Christ Our Redeemer, Holy Spirit Our Comforter, Humankind Our Family", reflects the basic beliefs of the African Methodist Episcopal Church. The basic foundations of the beliefs of the church can be summarized in the Apostles' Creed, and The Twenty Five Articles of Religion, held in common with other Methodist Episcopal congregations. The church also observes the official bylaws of the AME Church. The "Doctrine and Discipline of the African Methodist Episcopal Church" is revised at every General Conference and published every five years. The Mission of the African Methodist Episcopal Church is to minister to the spiritual, intellectual, physical, emotional, and environmental needs of all people by spreading Christ's liberating gospel through word and deed. At every level of the Connection and in every local church, the African Methodist Episcopal Church shall engage in carrying out the spirit of the original Free African Society, out of which the AME Church evolved.